Every fall at every high school across America, there is at least one dumbass senior who decides to throw a small party to kick off his/her glorious senior year. Usually this decision corresponds with an even dumber decision by said senior’s trusting parents to leave him/her alone at home for the weekend. In September 1984, I was that dumbass senior. I don’t remember their exact words when my parents left, but I’m sure it wasn’t too far off from Tom Cruise’s movie dad in Risky Business: “Joel, as far as the house is concerned, just use your best judgment. We trust you.” While my name wasn’t Joel and I didn’t dance around in my underwear playing air-guitar to Bob Seger, I did make the requisite phone calls to several friends to let them know that the foxes had left the henhouse. It was party time: kegger at Brent’s house Saturday night after the football game! We had a social committee consisting of me and six others (names withheld to protect the idiots). Two guys took care of the kegs by traveling down to Washington, D.C. where the drinking age was 18. Two guys took care of cups, ice and other supplies. The rest of us spread the mojo and hooked up the stereo. We figured we’d have maybe 50 to 75 people and that two kegs of cheap beer would suffice. We would charge $3 for girls and $5 for guys and just knew we’d come out of this with a nice profit to cover—what else—beer money for the next few months! The party started at 6 p.m. on a beautiful early September, Saturday evening. By 7 p.m., 75 “friends” had shown up. By 8 p.m., my backyard was packed and we were halfway through the second keg. By 9 p.m., we numbered well over 150 hormonal teens, and we were pretty much OUT OF BEER! We thought of sending some guys back downtown to buy more kegs, but none of us were in any condition to drive and the round trip would take at least an hour. The masses were getting unruly. The liquor cabinet was raided, but I had clairvoyantly relocated the contents to a safe place before the party started. At 9:15, two neighbors showed up at my front door complaining about all the cars and noise. To make matters worse, word filtered in from my rear flank that two freshman girls were so hammered that they could barely walk or speak. One had actually fallen over the back fence into the field behind my house! It worked. He freaked. Within minutes, communal fear of the impending hammer of Johnny Law led to rapid crowd dispersal and a very blessed exit. The empty kegs were quickly transported to an awaiting car’s trunk, the two drunken harlots were escorted to safety, and all cars within 500 yards of my house disappeared. By the time the police arrived, there was no incriminating evidence beyond a few remaining party goers filtering out. This was an important point as I needed at least a few people to be able to recount visual confirmation of police arrival to save face come Monday. Fortunately, there was minimal damage and mess. My buddies and I grossed about $1,000, which covered the $100 for beer and supplies and another $100 for an emergency cleaning service. My parents did learn of the party, but the details were so fuzzy and whitewashed that I got off with a slap on the wrist. My punishment was mitigated by good reports from the neighbors regarding how we responsibly scoured the streets and picked up trash in the hours after the party. 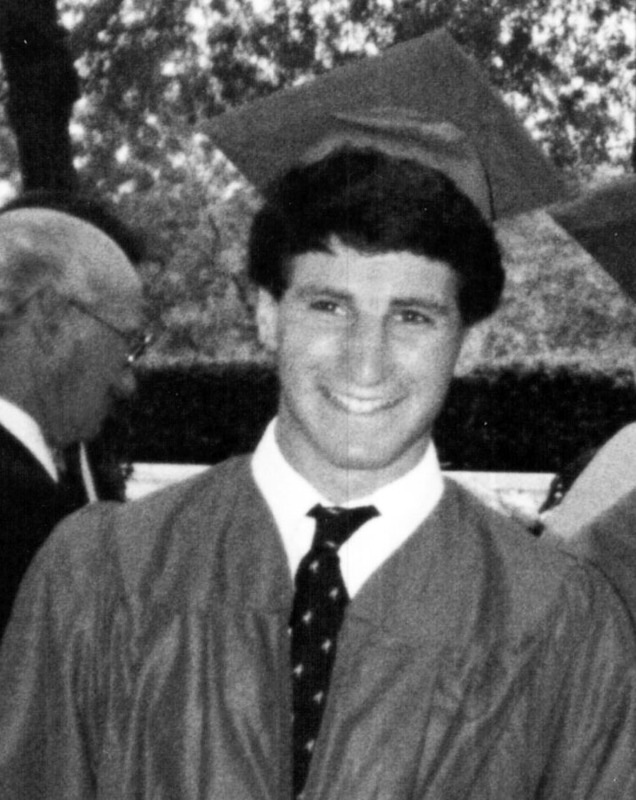 Brent at his high school graduation. He made it! So what did I learn from this? Well, for one, this was my first valuable real-life lesson in the study of risk versus reward. While an $800 profit was a lot of money for some snot-nosed teens, I quickly realized that the money wasn’t worth the stress and risk. Secondly, the whole experience gave me insights on crisis management and staying calm in the face of mayhem. And while both of these lessons have served me well in my adult life, there was one even more very important lesson I learned: I will never, EVER, leave my kids home alone! Brent Goldstein is an investment advisor, occasional lawyer, sometimes freelance writer and as-often-as-possible recreational enthusiast. He has been published (not so) extensively on his personal blog (www.skibrent.blogspot.com) and has spent the last 20 years struggling to come up with a decent story for his first novel. 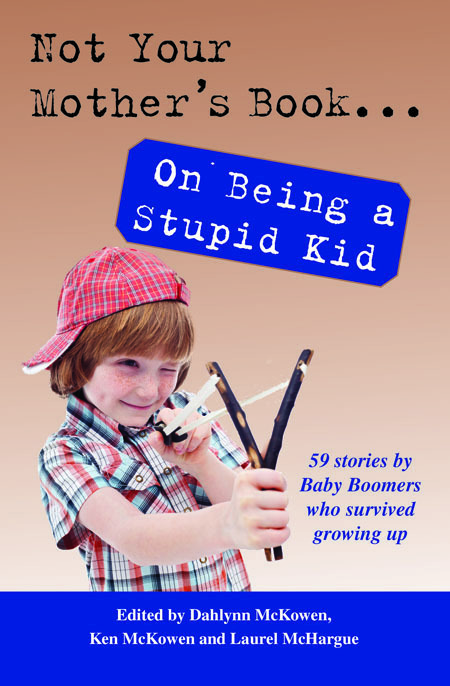 Again, this story appears in “Not Your Mother’s Book…On Being a Stupid Kid.” The book is filled with 59 silly and crazy stories by Baby Boomers who survived growing up. Purchase this book today from your favorite retailer, Amazon (http://amzn.to/1vpRWoW) or Barnes & Noble (http://bit.ly/1FGUs1d). Funny to hear this from the kids point of view. My son threw an epic party when he was 18. What was I thinking???? Lucky duck, to get off so easily. But sounds like you learned a lesson. So did your parents! Enjoyed this story. Brent is 47 now. His memory is foggy as is mine. However, I remember the phone call that I made to check on him ( and his brother Jon one of the party givers). Some kid answered and I said ” who is this?” and he said “who is this?” I said that I was Brent’s mother. (We were mothers then, not “Moms” who are not mothers so that they can stay as young as their kids. I told the kid to get Brent on the phone immediately. Brent said that he had called the police and that I shouldn’t worry. He was worried because a drunk friend was up in a tree and he was afraid that ‘ he might fall” and cause a lawsuit. He also said not to worry that they were cleaning up the glass pane from the kitchen door. I told him that when we returned in the morning that I had better not be able to tell that there had been anyone there or a broken window pane. I don’t remember the slap on the wrist part. It was 30 years ago and Brent was not one of those kids who you needed to punish. He wasn’t good at deception …. or so I thought. I learned more many years later. However, when he got to school on Monday a kid asked him if he and heard about that idiot who had called the police on his on party.